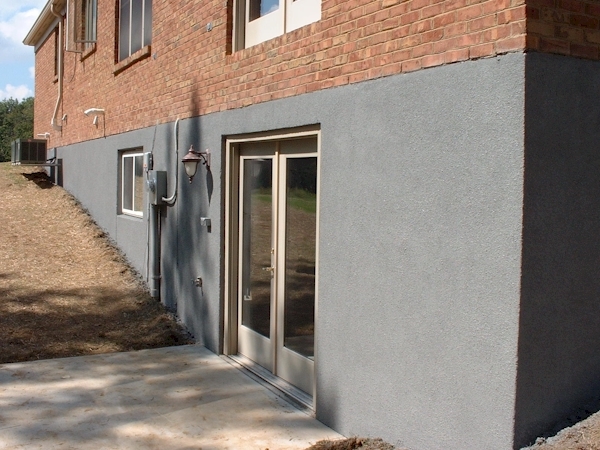 The above is a good illustration of the difference our foundation stucco can make to the look of your home. Our flexible acrylic stucco transforms the plain and ugly look of a cement foundation into a beautiful, pleasing, eye catching textured surface. We can fix annoying things like foundation tar, rust marks, pitted surfaces, poorly formed corners, etc. The above two homes are in the West Chester area but we work all over the tri-state area and look forward to hearing from you. 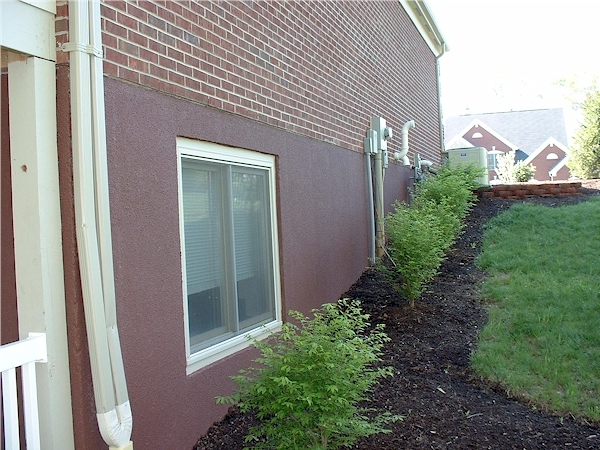 We performed our foundation stucco service to the house on the left using Stuc-O-Flex elastomeric acrylic stucco. 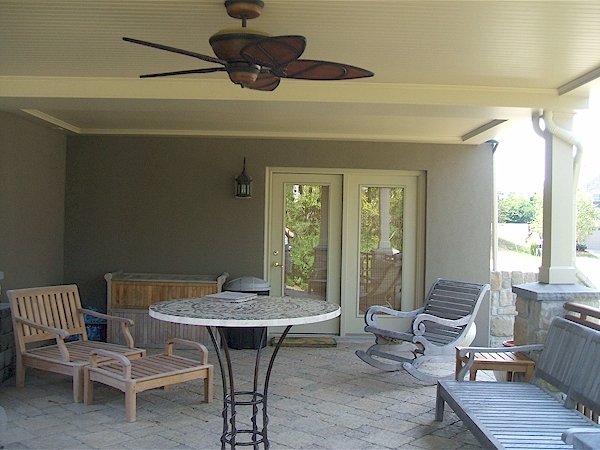 It is a maintenance free coating that will continue to look this good for years to come. The foundation color on this home is "Mesa". Many other colors are also available. The house on the right is a lovely home but it still needs that "finishing touch." 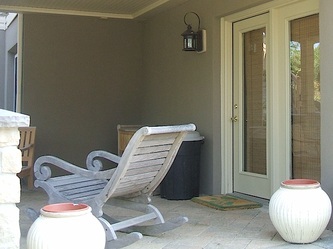 Product Information: We specifically use and recommend acrylic stucco finishes manufactured by Stuc-O-Flex and Sto Corp when coating foundations. This is because of the high polymer content of these products. Both products are made in the USA, are chemically resistant water-based materials comprised of acrylic polymers, have excellent color consistency and resistance to fading. They are freeze/thaw stable when cured as well as also being extremely elastic materials. This means that they will stretch somewhat if your home settles. 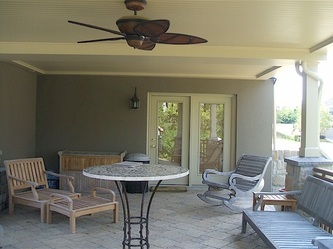 We also use products from AcroCrete, Senergy, Dryvit, Palladium, and others depending upon the particular application. All finishes are high quality acrylic stucco products specifically manufactured as exterior wall coatings. Patch holes and aggregate pops, fix corners, etc. Apply a polymer fortified base coat to enhance adhesion, fill holes and level walls. Apply a troweled and floated, or a troweled and sprayed coat of finish. Curing Time: Depending on the weather conditions, surface dry time is between 2 - 12 hours, and cure time is 2 - 4 days. 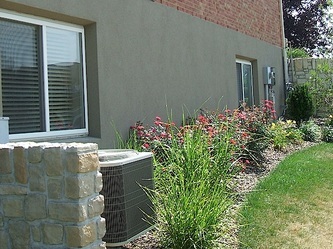 Cleaning: In the unlikely event that your foundation stucco needs cleaning, it may be hosed off with a garden hose or cleaned using a soft bristle brush and soapy water.